After a fight, Jacob realises Leah’s just as broken as he is. Is there anything he can do to fix them? Blackwater One-shot, set after Bella’s wedding in Breaking Dawn. Rated NC-17. Special thank you to annamorphos for this glorious banner! For Renesmee Carlie Cullen, reaching maturity meant more than a defined physical completion. Mental astuteness began at the moment of creation. With her body finally catching up, it was imperative for her to advance to her next lunar phase. Three unanswered questions were slowing progression to the peace she so desperately needed. Who was she? What could she do? What was her purpose? She needed to make a difficult choice between two appealing options. Being a half-breed was never about even sides. She wasn’t 50% vampire or 50% human. Both were dueling for control. Which would win? Her gift, while simplistic in nature, offered something more than the ability to give. To explore, she would also need to learn how to take. Was she strong enough to use it in reverse? Please join Renesmee in a journey to self-realization, where finding amity means accepting fate and understanding that the light she holds inside herself not only shines brightly enough to free her but the entire world. Will she disperse the darkness, or will it consume her? Author note: This story takes place in the present and in the past. I really love the idea of the Cullen crest and that each member of the family wears it. Family is THE most important thing to Carlisle and that crest is the visual symbol of that bond that they share. Since the circumstances of each member joining the family were unique, I thought it would be interesting to see when, how and why Carlisle decides to give them the crest and how they react. I hope you like what I’ve done. The above was my original Author Note for this story, but when I saw that one of my favorite fanfic authors on this site, Elise Shaw, was essentially hounded off this site and fanfiction.net I felt I needed to say something more. I would like to dedicate this story to Elise. Her stories were inspired and certainly inspiring. She inspired me to write and graciously allowed me to reference a part of one of her stories that truly touched me. I am sure many of her friends and fans on this site feel the same way. She really is well-loved and admired and will be truly missed. I hope that she will come back soon or will at least let us know how to find her stories again. Thank you Elise, for everything. Not much is known of Marcus before he was a vampire, before his life with Aro and Caius. But as Marcus sits down alone he writes about what he remembers of his human life leading up to the change. The pain and torment he went through. Isabella Swan is not a normal girl. She dreams of the present and future, of places she has not been and people she has yet to meet, of events that she hopelessly accepts and tries desperately to change. Her entire life, Isabella has been going through the motions, numbly resigned to the burdens of her gift, to the tedious existence that she herself has foretold... until one day, she dreams of a boy with amber eyes and copper hair and a meeting in a meadow that will change her life irrevocably. These are outtakes in various POVs from my story, HOW TO WIN BACK THE LOVE OF YOUR EXISTENCE. 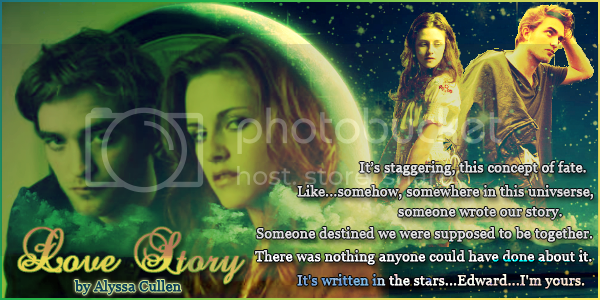 Want to know what Bella is thinking during some key moments in the story? Want to know some more of the naughty things Edward does to prepare himself to be the best lover for Bella? It's all here. Vampires have come to Forks, and only one person can possibly stop them. That would be me. 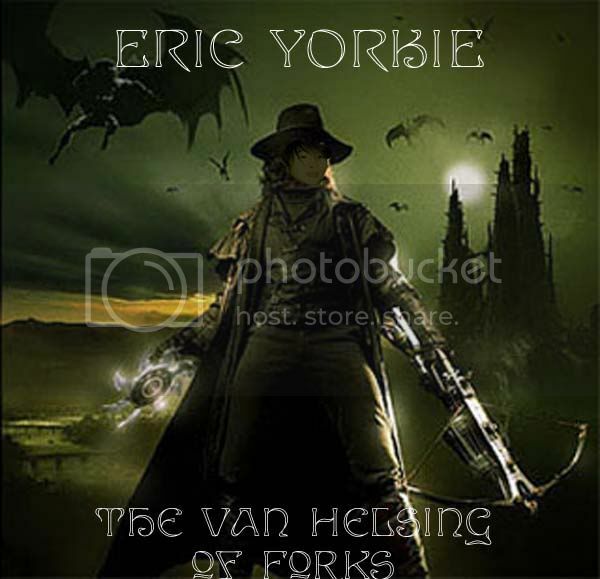 I am Eric Yorkie, the Van Helsing of Forks. The True Adventures of a Vampire Hunter. A Twilight AU. The absolute last thing in Bella Swan's mind is uprooting her life, mid-semester of her senior year of High School, let alone move to Forks, the rainy, dreary town her homely father resides in. Yet the move brings her a sort of peace and optimism; things were definitely changing, and falling into a simple, easy routine. 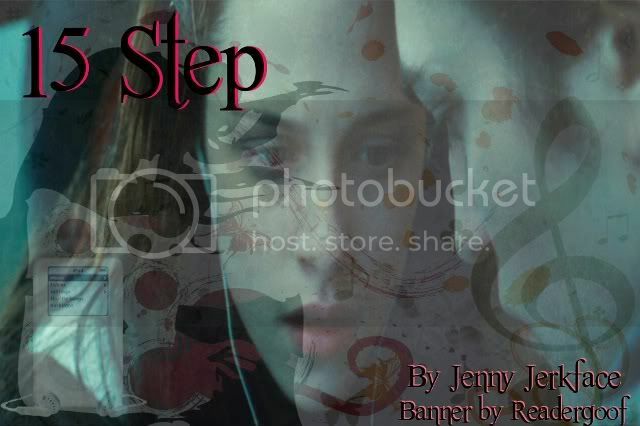 Enter the mysterious stranger Edward Cullen, who sweeps her off of her feet, exciting in her feelings of passion, hatred, and more importantly, passionate hate. Will life ever be simple again? Based extremely loosely on Taylor Swift's "Love Story". RATED NC-17 FOR LANGUAGE, ADULT THEMES AND CONTENT, AND LATER LEMONS!!! Bella is a single mother that has experienced nothing but heartache. What happens when she meets the first man who treats her as more than a waitress? Will he want to deal with her skeletons? Christmas time in New York. What else could be more iconic, maybe a little love under the mistletoe? The gang all works at Cullen Department Store in NYC. Things are going well for Bella Swan until she starts getting mysterious gifts from her secret Santa. She wants to solve this mystery and everyone tries to figure out who Bella’s secret admirer is. However, will Bella still want to find out who her Santa is when she thinks she’s falling in love with someone else? Driving home from a conference, Edward stops in a small town for a day. Who he finds living there has him rethinking his need to stay forever. 17-year old Bella Swan moves to Forks after being abandoned by her mother. With music as her only friend and a penchant for trouble, Bella just wants to be left alone. 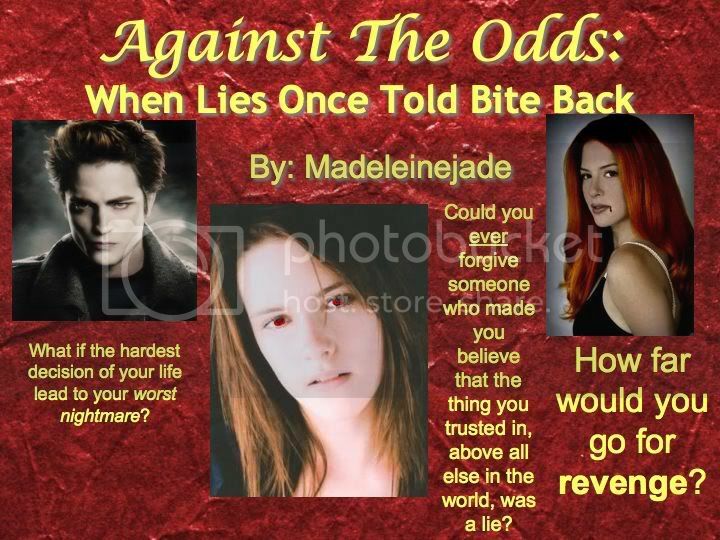 Unfortunately, her behavior attracts the attention of hot tempered Edward Cullen. Edwards conscious life came to an end in September 1918 and returned after three days of unrelenting pain. How did he meet Carlisle, why did he seem so familiar. Why did Carlisle chose Edward to be the one after all his years of being alone. Edward might be talented but why and how did that influence Carlisle's decision. With Carlisle’s emotions opened by Edward and their new family, a new challenge arises when he finds Esme now a woman, dying. Buried emotions flare and he takes another chance. In canon and historically accurate. Single mom Bella finally has life under control again when a new PD starts working at the same radio station and teaches her that she doesn't have to be alone to take care of her responsibilities. Huge thanks to Shug for the banner! Before Edward starts life after school and residency he wants to travel the world. His travels lead him to Galway, Ireland, where he meets Bella. Friendship blossoms and sparks fly. What happens when he won’t share the whole truth? Is Bella hiding something too? What happens when he won’t share the whole truth? Is Bella hiding something too? Jacob wants to be there for Leah, but will she let him? 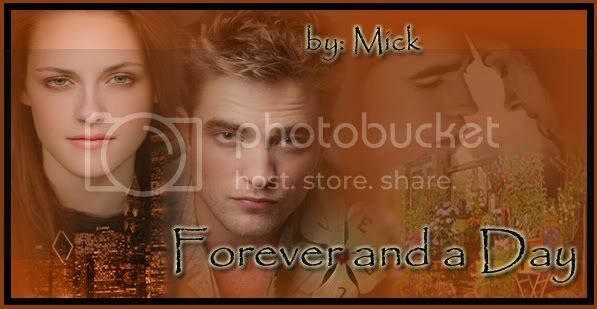 Young, successful Edward Cullen shares a forbidden and secretive relationship with unhappily married housewife, Bella. To keep the passion alive, they must hide everything. But what happens when a series of events turn their affair into tragedy? Alice Cullen, an aspiring fashionista, longs for the love she sees in fairytales, even though it has always eluded her. When a handsome stranger arrives in town, Alice's world is turned upside down. Could Jasper Whitlock be her Prince Charming? June is fresh to California from New York with her two quirky best friends (and fellow bandmates) by her side. Soon she meets a devilishly handsome man - the first she's noticed in four years - and is instantly drawn to him. Little does June know that this man is not only an actor rising to fame but a member of a well-known band as well. 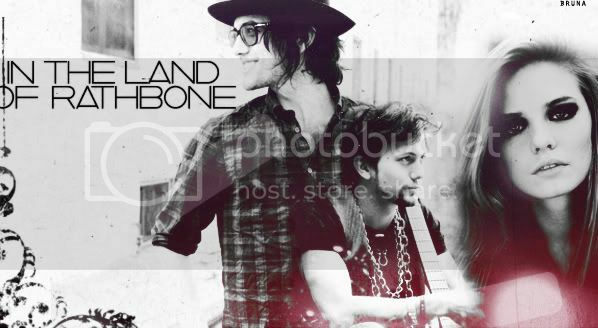 Soon her life collides with this mysterious man, known as Jackson Rathbone. Take an exit at band collaboration, a left at blind date rd., pass a few lemons, go straight through the drunken skinny dipping intersection, take a right when you get to loads of sexual tension and try to ignore the creepy hand fetish trying to give out directions and you just might be in the Land Of Rathbone.